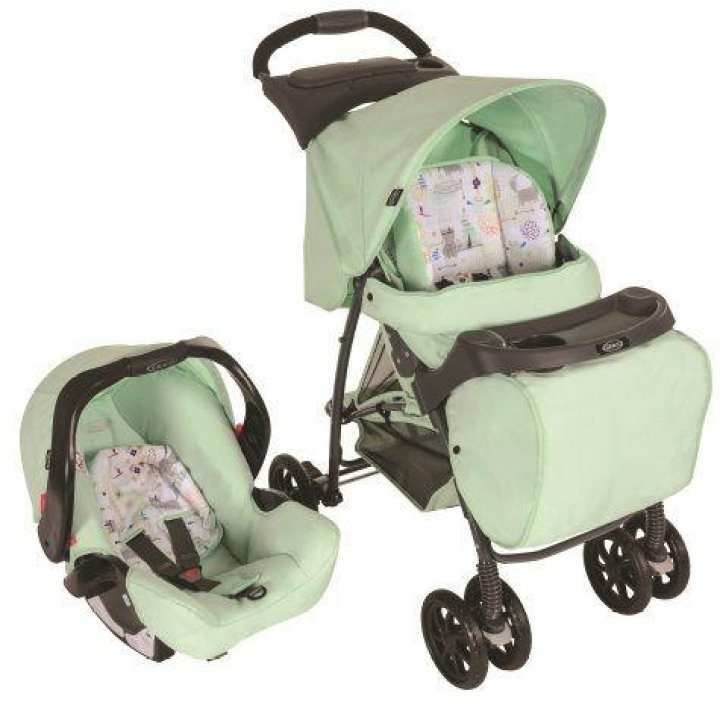 GRACO 1913180 Travel System Mirage Plus Aztec 7M69AZTE: The Mirage is light, compact and folds in just 1 second. The Graco Mirage is the winner of the Mother & Baby Best Value award. It is made from a sturdy full size frame providing safety and comfort for your child and includes a 5 point harness. All of the fabrics on the Mirage have been tested for toxicity, flammability and colorfastness.